Berry Vine is in a rich burgundy and cream checked pattern. This Shower Curtain has a border of berries and vines. 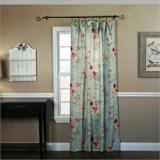 Berry Vine is available in Valances, Swags, Tiers, Panels, and Shower Curtains. SHIPMENT CAN RANGE ANYWHERE FROM 1-4 WEEKS. NOT ALWAYS READILY AVAILABLE. Once order is placed, we will check the time frame and notify you via email. SOLD AS A SINGLE PANEL. Zurich is a semi sheer easy-care panel. Zurich has delicate leaf & vine emboridery and a two way rod pocket with 3” pocket & 1 ½” rod pocket. 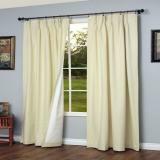 The 2-way pockets on the panels take a decorative or continental rod allowing for a neat look. Made in China ▪100% Polyester ▪Machine wash cold gentle cycle, tumble dry, low heat, low iron touchup. 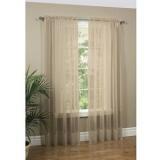 Lucerne is a semi sheer easy-care panel. Unique two way rod pocket with 3” pocket & 1 ½” rod pocket. 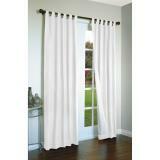 The 2-way pockets on the panels take a decorative or continental rod allowing for a neat look. 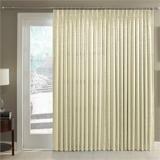 This Geneva Panel is a two tone pleated grommet panel. These Checkerboard Star curtains feature the essential black star combined with a check to give a fresh perspective on a classic. ** Tiers are sold separately. Ellis Curtain Morrison Tailored Tier Pair. This Ellis Curtain Morrison Tailored Tier Pair features a multi colored plaid on 100% cotton twill fabric. 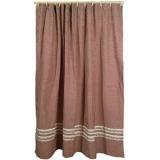 Ellis Curtain Morrison Tailored Panel Pair. 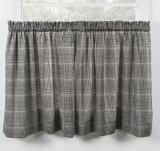 This Ellis Curtain Morrison Tailored Panel Pair features a multi colored plaid on 100% cotton twill fabric. 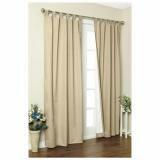 Ellis Curtains Meadow Lined Grommet Panel. 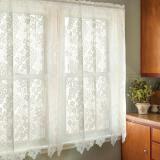 This Ellis Meadow Grommet Single Panel features a beautiful open floral pattern. Powered by X-Cart 5 shopping cart All rights reserved.